See below, June calendars for workshops offered at local career centers. See below, May calendars for workshops offered at local career centers. Free Over The Counter Medicine GiveAway Day!! 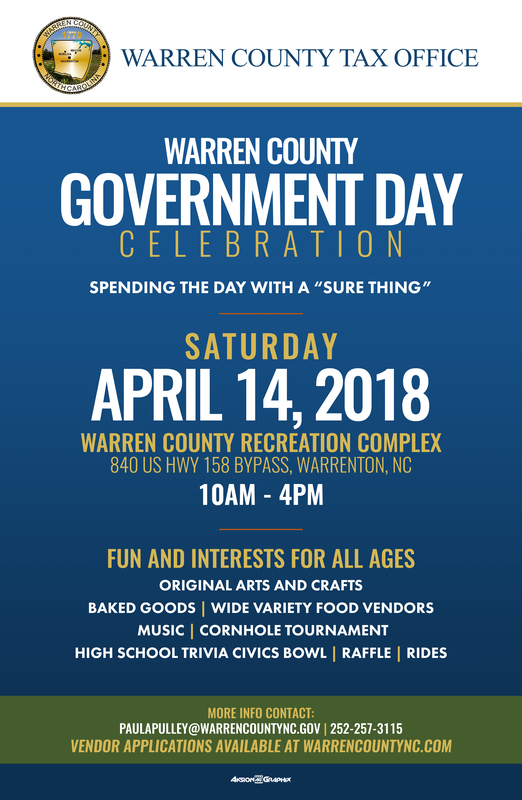 Interested in starting a business in Warren County? 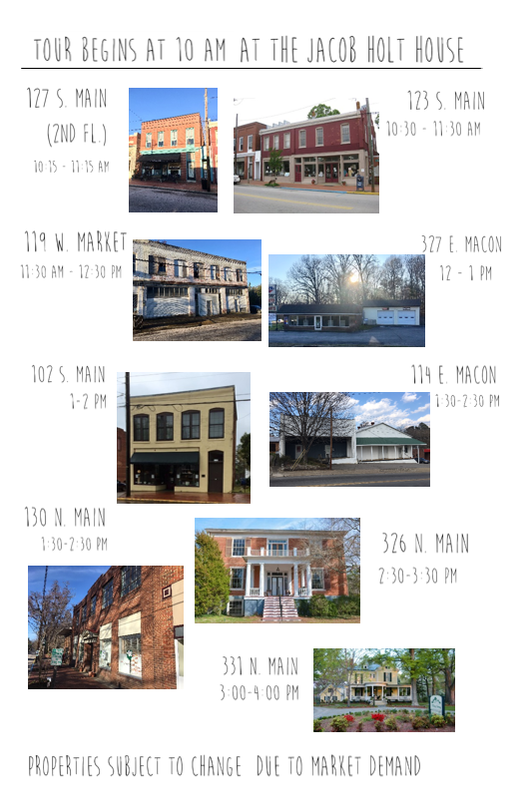 Curious about some of the vacant spaces in the historic, downtown district of Warrenton, North Carolina? Want to be a part of the dialogue about the future of this small town main street? Join in on Saturday, April 28th, for The Jacob Holt House Foundation’s “Building Warrenton: A Vacant Properties Tour” in Warrenton’s downtown business district. 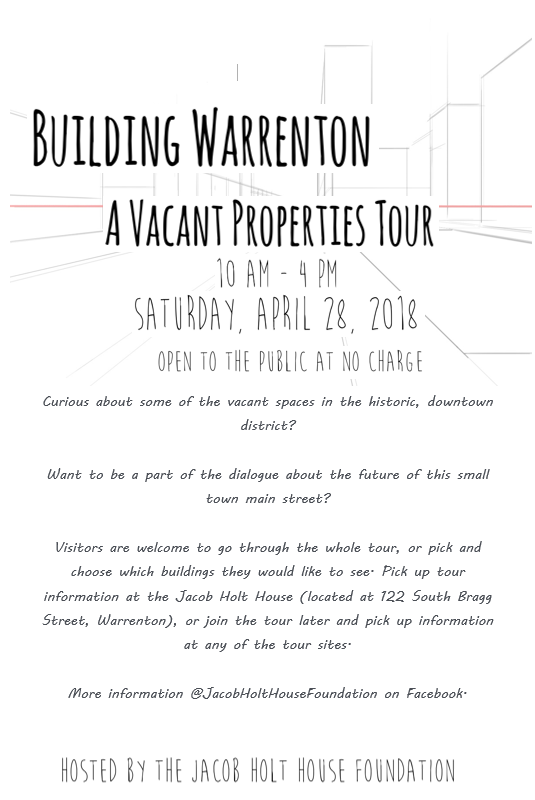 “Building Warrenton: A Vacant Properties Tour” is free of charge to visitors. Properties on the tour will be shown for a limited amount of time on April 28th. Visitors are welcome to go through the whole tour, or pick and choose which buildings they would like to see. Pick up tour information at the Jacob Holt House (located at 122 South Bragg Street, Warrenton) from 10-10:30 am, or join the tour later and pick up information at any of the tour sites. Please click below for more information. Feel free to email with questions. Tax Time! Need Help? Click here for assistance. See below, February calendars for workshops offered at local career centers.